Susan Ellis Wild was born on June 7, 1957. She is the daughter of Norman Leith and Susan Stimus Ellis. Wild’s mother was a journalist. Her father served in the United States Air Force during World War II and the Korean War. She was born in Germany while her father was stationed there. Wild moved frequently throughout her childhood, but the Lehigh Valley is the only place she considered home. Wild volunteered on Jimmy Carter’s 1976 presidential campaign. She graduated from American University in 1978 and earned a law degree from George Washington University in 1982. She went into private practice and became a partner at the law firm Gross McGinley in 1999. Her son urged her to become more active in the Jewish community and she joined Congregation Keneseth Israel in Allentown. She also served on the board of directors of the local Jewish federation. Wild ran for Lehigh County Commissioner in 2013, but lost. She was later appointed the first female solicitor of Allentown, Pennsylvania in January 2015. She also served as Solicitor of Allentown from January 7, 2015 until December 31, 2017, when she resigned to run for the House seat vacated by Republican Charlie Dent who retired in May 2018. In the 2018 elections, Wild defeated Marty Nothstein with 53.4% of the vote. On the same day, Wild also ran in a separate special Congressional election for the balance of Dent’s term, which she also won. 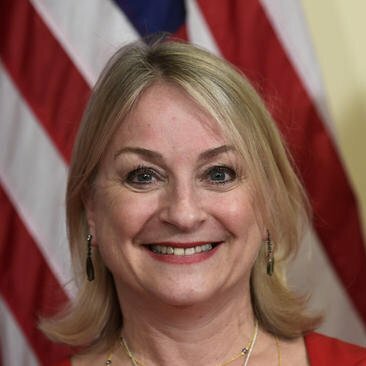 She was one of four Democratic women elected from Pennsylvania in 2018. The state’s congressional delegation had previously been all male. Wild and her husband, Russell Wild, divorced in 2003 after 22 years of marriage. They have two adult children, Clay and Adrienne. She lives in South Whitehall Township, Pennsylvania.